With new creative directors Dao-Yi and Maxwell at the helm, we were tasked to design an ecommerce experience that represented and fostered a new era for DKNY. Along with the brand refresh, our primary focus was to update the site's core functionaility and user experience. Our approach was to design a flexible module system that could adapt through each key fashion period - pre-runway, runway, post-runway and release. For users we focused on passive personalization, pattern breaking data captures and incentivized tiered membership models. 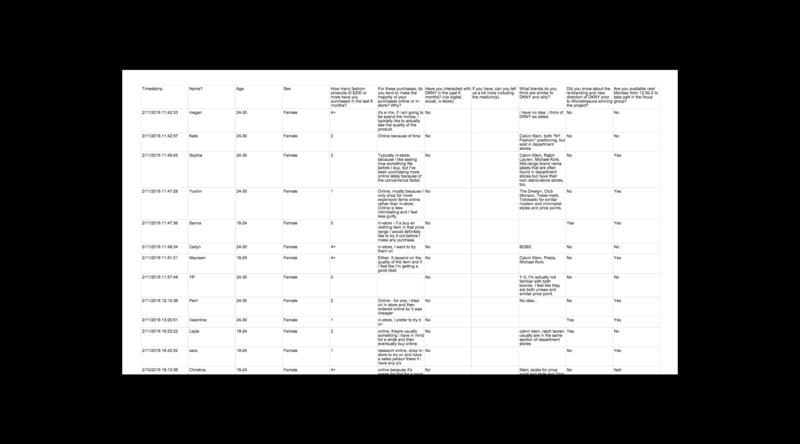 Using Google Analytics from their existing site, we compiled an extensive audit to learn which areas needed the most improvement. Some of the results we found were that users were quickly dropping off the homepage (50.9%), they were using larger screen sizes (1300-1920px) and they were only interested in accessories and women's clothing. 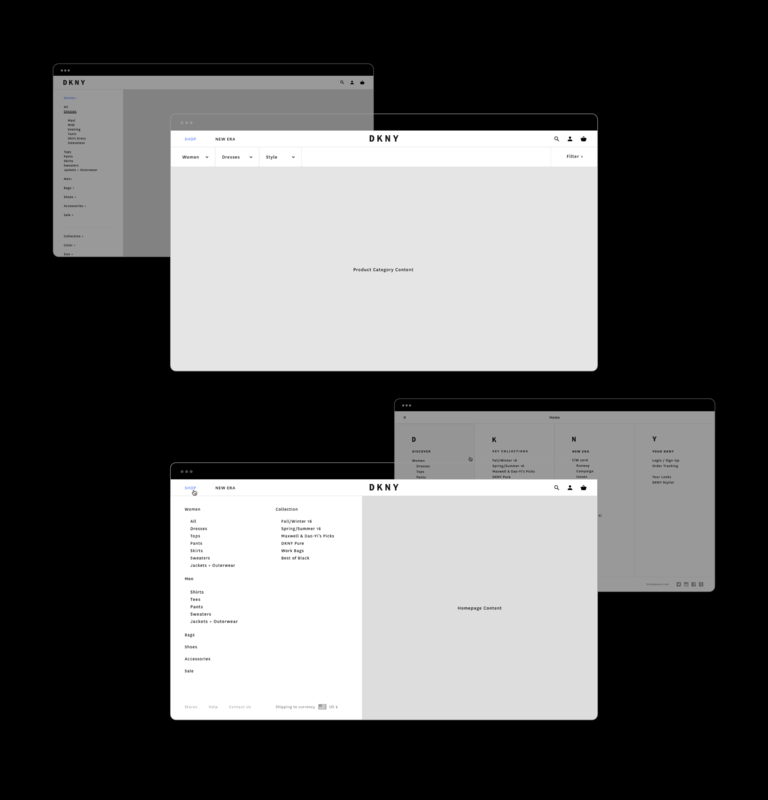 We proposed and iterated on three navigation concepts. 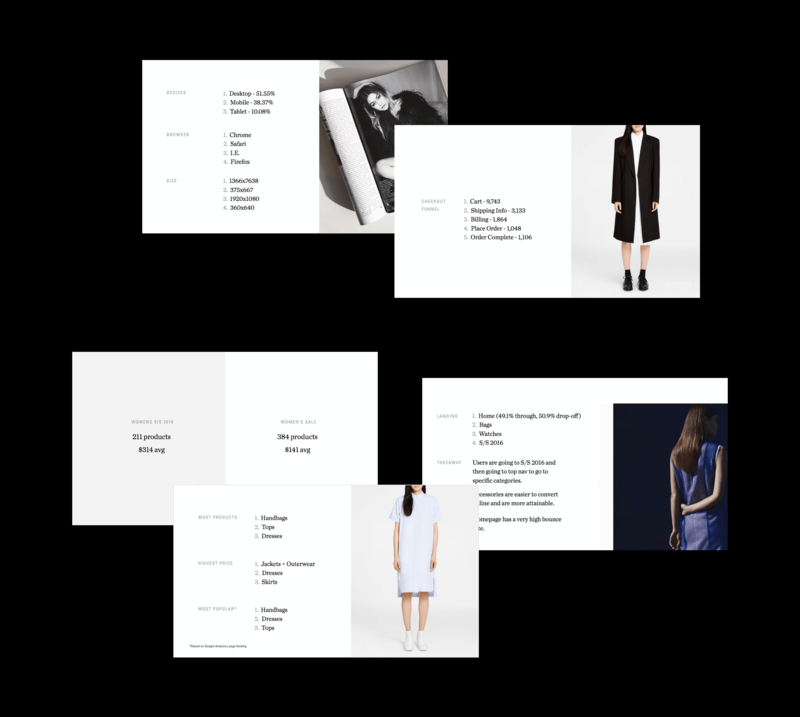 The chosen navigation focused on two main sections - shop (ecommerce) and new era (brand). 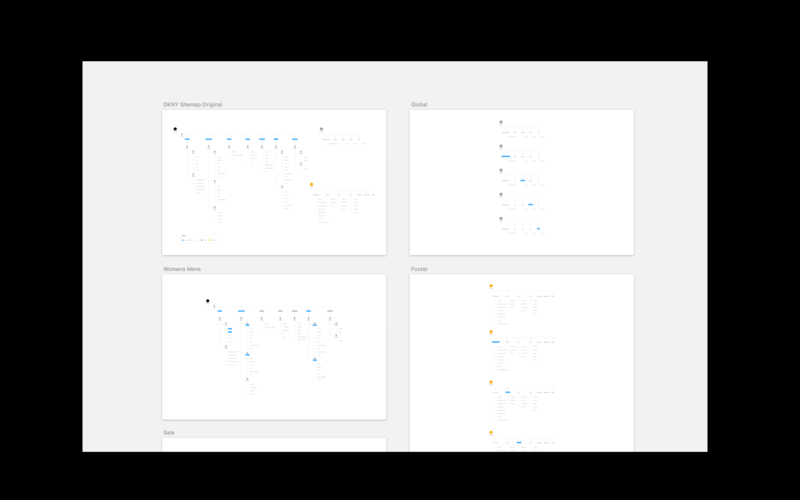 We also integrated a fixed bar on the product category page that allowed users to quickly traverse between sections and to filter and sort through products with ease. Flexible modules for every season. 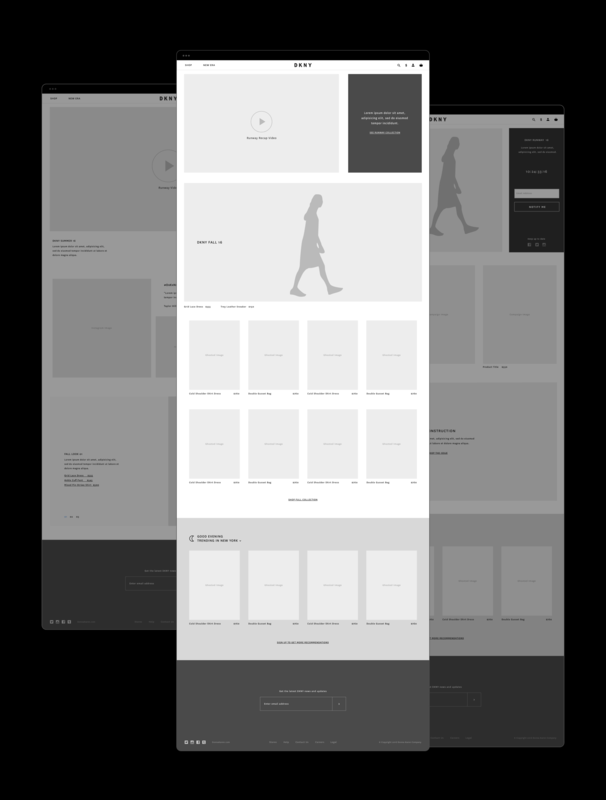 For the homepage, we created a flexible module system that could accomodate to the four key fashion periods - pre-runway, runway, post-runway and release. We wanted to find the right balance with commerce and lifestyle so we created large video and photo modules that could subtly link to product detail pages. 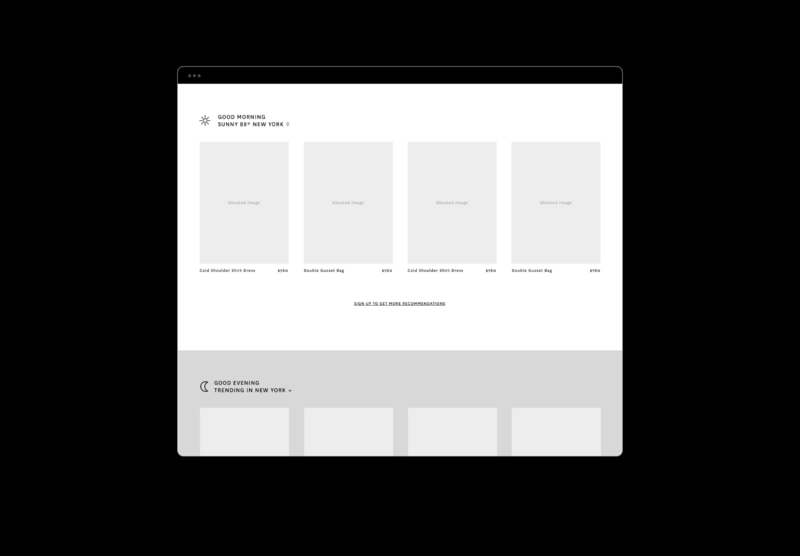 We also surfaced individual products so users could delve straight to the pdp pages or quickly add to cart without being redirected. 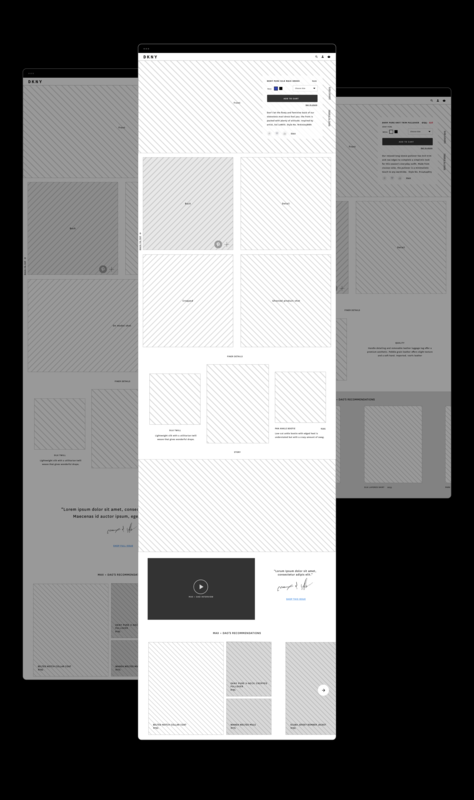 For the product detail pages, we designed a system that could accommodate for three types of product pages - featured, standard and legacy. 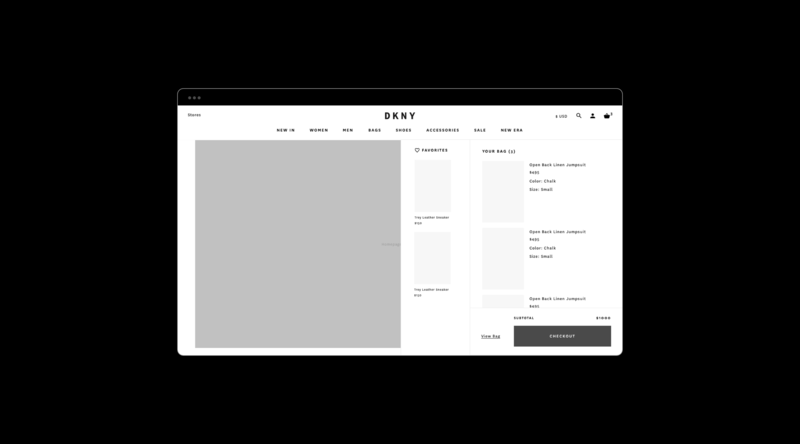 During fashion week this smart module shows curated products based on location. Alternatively, throughout the year recommended products are based on personal favorites (if logged-in) and cookie sessions (if not logged-in). For the mini cart, we designed a smart sidebar that encouraged power users to add their favorite products to their bag. This sidebar appears and dissappears based on user behavior and if they are logged in. Let’s create and collaborate together - preferably with bikes and donuts. Say hello by email or connect on Instagram.